We are basically at the halfway point of what has been a historically entertaining 2016-17 NBA season, (it has gone quick hasn’t it?) that means it’s time to dole out some wards for the first half of the season. Here are the Hoop Doctors 2016-17 Mid-Season Awards, including a few extra additions. This award has a surprisingly strong field thus far this season with three legitimate and worthwhile candidates for the award at the midway point. Much better than just an inefficient, retread winning the award in Jamal Crawford simply because he gets to shoot the whole time he is in the game for the Clippers. 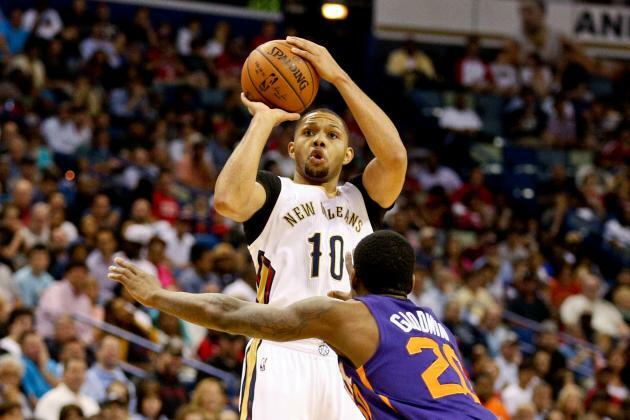 Player A is Eric Gordon and Player B is Lou Williams. Gordon is a little less of a defensive liability, but Williams is more efficient and does his damage in six less minutes per game with a better offensive rating. The other candidate is Z-Bo, who is averaging 13 & 8 in 23 minutes per game with a 18.7 PER. You could go either way, but I think Lou Williams gets the nod at the midway point. There are some real legitimate candidates for this award this season including Harrison Barnes, Avery Bradley (criminally underrated), Myles Turner and even Zach LaVine. 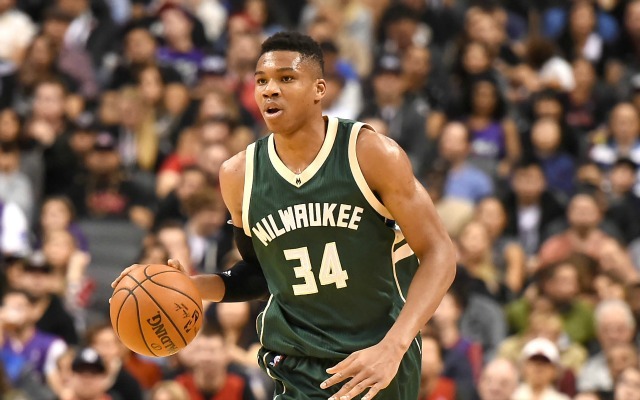 No man should win this award other than the man, the myth, legend himself the Greek Freak Giannis Antetokounmpo. He has gone from a budding star and top 30 player to something the league has never seen and one of the seven best players in the world. He is a 6’11” point guard who can dunk from the three-point line without dribbling and is averaging 24-9-6-2-2 on 54% shooting and a PER rating of 28.3. Enough Said. 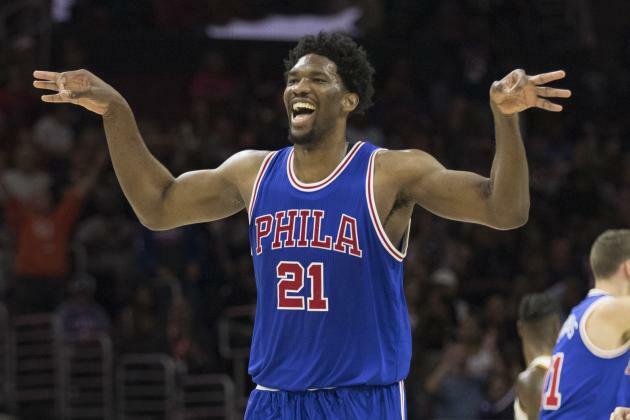 Let’s not waste your time here, there is one and only one candidate for this award, the social media MVP and top 3 asset in the NBA under 25 that can revolutionize the center position, we’re talking about “The Process” himself, Joel Embiid. The 76ers finally have a future and a superstar to build around and Ben Simmons hasn’t even toughed the floor. They are pesky, confident, entertaining and improving by the day and its all because of Embiid. If the 76ers weren’t protecting Embiid because of his injury history, he would be having a top three rookie season of all time. There are some usual suspects being discussed for this award such as Gregg Popovich and David Fizdale garners some real consideration for what the Grizzlies have done amidst their injuries, but this choice at the mid-way point is pretty obvious as well. The man who reinvented offense basketball in the NBA is doing it again, this time with a 6’5″, bearded man at point guard instead of a Canadian. 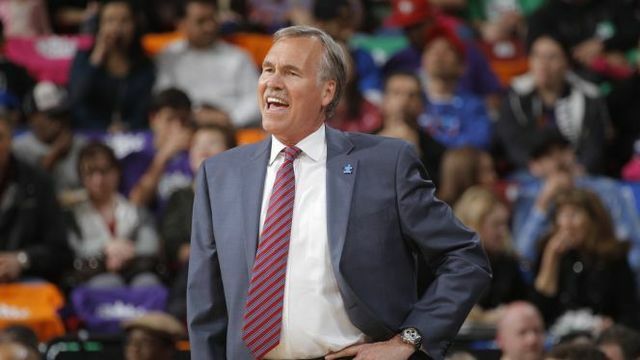 I’m talking about Mike D’Antoni. The Rockets are the surprise contender that have the 3rd best record in the NBA this season. He has maximized all the good parts of James Harden’s game and has managed to coach up a middling team talent wise with few great athletes to being a pseudo contender. Plenty of candidates here is what is basically the “best rim protector in the NBA award” with the exception of the years when a player is special enough as a lock down wing defender to take home the award like Kawhi Leonard the past few seasons. The dirty little secret this season is that Leonard is not quite the defender he was the past few seasons as with more offensive responsibility and freedom his defensive rating and defensive plus/minus have dipped a little. So then who among the rim protecting big men deserves the nod the most: Hassan Whiteside, DeAndre Jordan or Rudy Gobert? 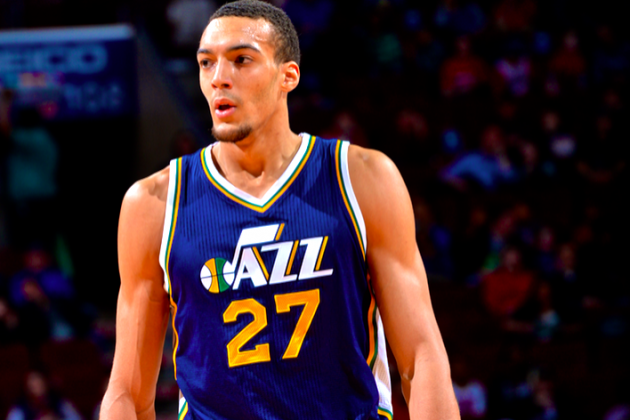 The one who is first in the NBA in defensive rating and win shares and is anchoring the best defense in the NBA: Rudy Gobert. The Stifle Tower deserves his first DPOY award in 2016-17, at least up until this point. Ah yes the hardest and most intriguing debate of the year and by the end of the season, maybe the most fierce debate in NBA history! 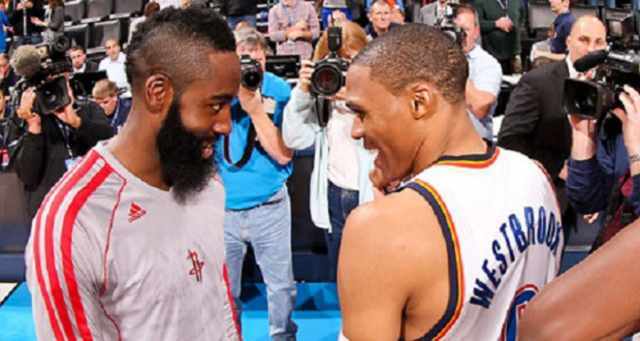 We all know that this is a two-man race between the two men who have put together two of the best half seasons in NBA history: James Harden and Russell Westbrook. Harden is averaging 29-11-8 and is leading an average Rockets team to a surprising 33-12 record, while being an even more potent version of Steve Nash in the seven seconds or less D’Antoni system. Westbrook meanwhile is literally attempting to take over the world and is averaging a triple-double, 30-10-10 with an average Thunder team on pace to win 48 games and would be the no questions asked MVP in literally any other season it seems. Who do you pick? I say this is such a special circumstance that you cop out and pick both. 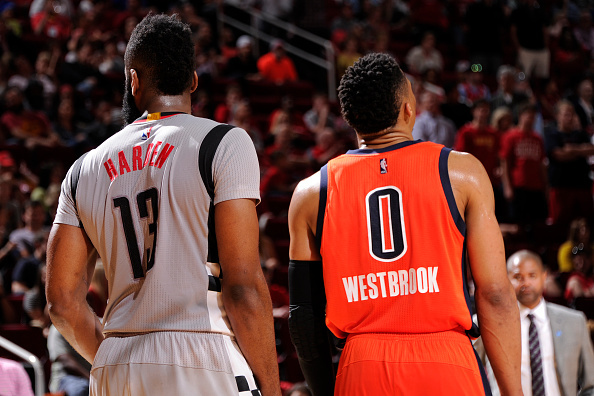 The NBA needs to seriously consider Co-MVPs for the 2016-17 season as it would be a travesty for either to not win it.